Do you enjoy learning about wine and listening to live music surrounded by people who share your interests? Our goal is to bring you an experience of uniqueness by exploring actual vineyards, wineries, and the people who work in this exciting field. Come meet the viticulturist and vintners of some of Missouri's finest vineyards and wineries. We can travel to any Missouri Winery. So get your friends together or join one of our planned events and enjoy a day relaxing, sampling fine wine and food. Let us take care of the driving. BLAST! 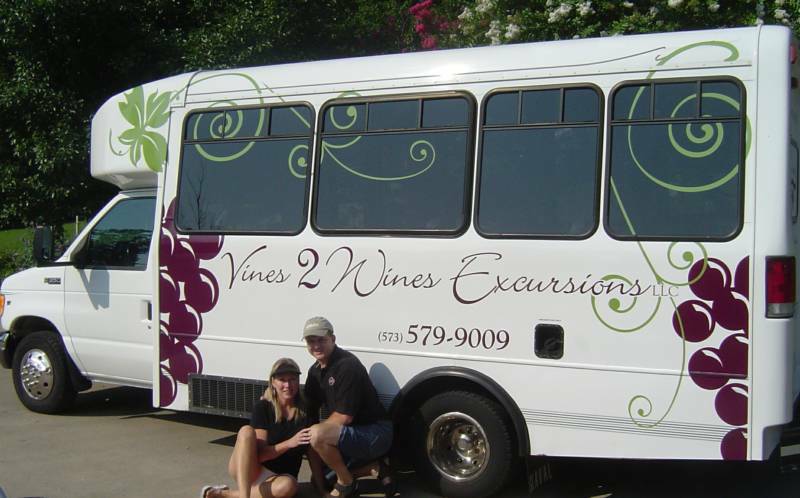 Event & Party Bus is perfect for your next birthday party, winery tour, themed event, sporting or any special excursion you dream up! Let's make your outing a blast! We take you and your guests on your choice of outing while you relax in comfort...or jam to the beat of the music under the dance lights! Plug in your own music or let us provide the tunes and get the party started! BLAST! is your designated driver . . . keep your whole group together with no worries and more fun!